This is completely AMAZING!!! As for the cards pictured here…. well i’m gob-smacked!!! Just completely awe inspiring!!! Love them all!!! thanks for the chance to win! Oh, what fun! I love all the sketches shown/ but the one with the three flowers is my favorite. Hope I can get around to all the blogs mentioned! Love all of the cards, but especially the little birdie on Jessica’s! I’ll try to make it to the other 36 blogs to leave some love…. My favorite is the “Soaring by to say hi” Card. It’s so cute! They’re all cute! I love bloghops 🙂 These cards are so amazing! Can’t wait to see much more of this goodness! better start hoppin’!! I like Betsy’s card the best, probably because of the wonderful colors. All the projects are fabulous and so inspiring. I always have trouble doing a manly man card and I would have to say my fav is the Dad’s card. I just love the colors and details of this card. Can’t wait to hop along on this creative and inspiring blog hop. Thanks for a chance. I love the Soaring by…card!! All the patterned papers really work on it! Oh the Soaring By to Say Hi card is just so darn cute! Just love everything about it! I like the “soaring by to say hi” card. I like how it uses the small pieces on it. I have tons of scrap papers from an album I am doing for my niece and I’ve been using the scraps to make cards. That one is perfect! I have a balloon punch I can dust off too for mine. These are all fantastic! My fav is “Thanks Dad”. I always struggle with cards for our fav men so this is great inspiration. Great cards! I like Betsy’s the best–I like the colors she used and the use of squares is so versatile. I like all of them but my favorite is the Girly Girl “purse”! Amazing cards and I bet the book is just as amazing. A must-have for any card maker. I like Betsy’s card. That layout always strikes me as fun. Love them all, all are very inspiring, but I really am in awe of Betsy’s card. The squares, patterned papers, colours, balance and textures! Love these cards! If I don’t win a copy, I may just need to buy one! What a fun hop! Loved seeing everyone’s work! So much great eye candy! Love all the cards, but I especially like the Nuture Today Card and the use of a calendar and the Soar Up with the air balloons. Great cards! What fun! I am loving these sketches! I love the first card, Soaring By To Say Hi!! very cute!! off to start hopping!!! Love those button balloons, Betsy! 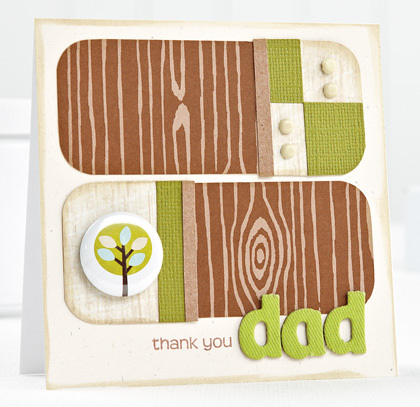 Also love the wood grains on the Thanks Dad card…beautiful use of textures. I am loving this blog hop, and am about half way through. I love everything I’ve seen so far; very inspirational indeed. I do have a weakness for that purse though! These are ALL wonderful, but Kim’s and Betsey’s are my faves. Wonderful! Beautiful cards! Love that top one! These samples are amazing! I love how there are many different interpretations. I must find this magazine! the Go To girls are fabulous! All are very inspiring. Cannot wait to hop around later tonight! I love the balloon card. The colors and whimsy. It’s just too cute. Thanks for the chance to win. I love so may cards its hard to have just one. so I likke them alllllll! I love Betsy card !! Love the colors , so very pretty . Off to check out some more. I can’t believe the amount of talent I’ve seen today. Those cards are wonderful!!!! Wow, amazing! I think Betsy’s card stood out the most to me, but they are all fabulous! just finished with the hop! what awesome, fabulous projects on each and every blog!!! so fun!!! This is so much fun. I’ve never done a blog hop, but will try this one for fun. I love the Soaring by Card the most, though they are all just gorgeous! These are all super wonderful cards – I love Jessica’s beautiful flowers with the text bg and pretty bling framing! MY favorite is the Thank you card by Terri Anderson. I love the woodgrain paper and the cool color combo. I love them all! I love the Soaring By to Say Hi card by Betsy Veldman. This magazine will be a great inspiration, cannot wait to get a copy! TY! LOVE the hot air balloon (buttons!!) card – so cute! Loving Kim’s card and all the bright colors! 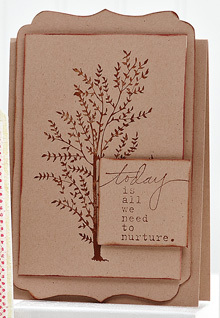 I’m inspired by everything but the nurture today card makes me want to run home right now and make something just like it. I’m totally into kraft paper these days! Oooh, this issue looks like a stunner!! Love the polka dot/birdie card and the sweet purse. Such fun! Off to check the other blogs. . . .
Really loving Teri’s Thanks Dad card. The layout is great and that woodgrain look is so fun. Thanks for showcasing all these talented people!!! Love the little hot air balloons so cute!! I love seeing different takes on sketches, this will be awesome! This is definitely a must have book!! I love the blog hops with so many different styles using one sketch!! Great idea!! These cards are all amazing! Thanks for a chance to win Go-to Sketches. Those cards are lovely and so creative. . . off to do some hopping! Who needs a clean house! Hard choice!! all the sketches are amazing and each artists’ “take” on them is fantastic!! My favorite “Go-to-Gal” sketch would have to be Betsy!! I love the versatility of this sketch. It makes me want to dig into my paper stash like never before!! Great job Paper Crafts and all the participants you inspire me : )! Love those cute clouds and the button hot air balloons. Ideas like show me possibilities of how to add elements to stamped images. I love Betsy’s card because I love clouds and it’s just so adorable. Amazing work! They’re all inspirational for different reasons. I love how Jessica built a card around a piece of flair, and how Betsy used stamped images over a paper pieced background. Fantastic! Oh I can’t believe I stumbled across this blog hop! I love the cards shown and I am so inspired to get scrapping!!! Thank you for all of the beautiful cards! What wonderful inspiration! Lovely projects. I’m off to look at all the others! Neat cards from all the ladies, but my favorite is Betsy’s card. I love the squares of patterned papers and the balloons and clouds layered over them! I’m new to this site and it is wonderful – so many great ideas! Bet the book is fantastic. The one that leapt at me was the card by Betsy. It has some of my very favorite elements, sqaures, inked edges and bright buttons. The balloon idea is so cute, I am lifting that today ! LOVE all of the cards. I think the card by Maren inspires me because it is monochromatic–shows me how you can use just one color and make such an amazing card with layers and ink. Love it! I love Jessica Witty’s card! Thanks for the great inspiration. Wow, these look like some great sketches. I can’t wait to see all the inspiration. The rush of inspiration of “I want to make that card!” came from the Say Hi card by Betsy Velman. Love the tiles of paper! First I LOVED the blog hop! So many beautiful projects and sketches. It was hard to pick just one…….for me I would pick Teri’s because it is “simple” but can still make it detailed. All of the projects and sketches that I’ve seen so far are incredibly inspiring. Some times I get overwhelmed with all the possibilities!! I really like the ‘thank you Dad’ card – I sometimes have more trouble getting inspired to make cards for men. I get caught up in my flowers and ribbons and girly embellishments. Though all the cards are wonderful! Can’t wait to go visit all the other blogs. Thanks for so much fun and for the changes to win!! Wheeeeeeew! Blog hopping for 3 hours (including a coffee break and happy link detours), 36 or so comments, and I have seen them all. I can officially say that, though all were darling, my favorite has to be Wendy Vecchi’s take on Kim Hughes’ sketch. It’s amazing and her special touches are all over that purse. Look forward to your book with more ideas like these! All the card are amazing!! I love how fresh they look. I can’t wait to hop over to all the other blogs and see each and every creation. I have just gotten this amazing book, Love it. I love all the cards, but especially the one with the hot air balloons! Gorgeous! What fun cards. I’m having fun hopping. I love the miss you birdie card. The colors & shapes inspire me 🙂 The hot air balloon one is a close second! I love the mother’s day card. The colors are non-traditional but so bright and cheerful. Love it! My favorite card is Betsy’s soaring by to say hi card…. I literally gasped when I saw it!! So much inspiration, so little time! Thank you for this awesome blog treat. jiminey crickets!! Who else but Maren can my all Kraft look so classy. Great job from everyone. Great cards! Off to check out the other blogs! Jessica Witty’s card is adorable! Love Maren’s monochromatic card. It inspires me the most, as I have that stamp set in my craft room and it hasn’t received the love it truly deserves!!! I need to get to it! These are so great! I am loving the cards I am seeing by the girls!!! love these fabulous cards. I am most inspired by Betsy’s card. Love the square background mixed with clouds. I’m lovin’ the purse sketch. Love the sketches. Can’t wait to see more. This is so awesome! I’m so glad I found this site and this great network of blogs. Thanks! loooove those cards!! i love working with sketches!! 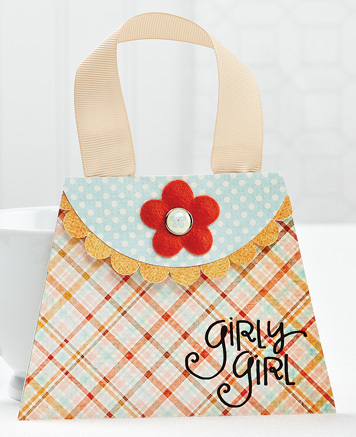 I just love the Girly Girl purse card. It is so adorable. I’ve just finished Maren’s portion and the different takes on her sketch show the stamping personality of each of her friends, which is what I love about this craft. Of the above cards/layouts, Betsy’s is the most inspiring to me. I always appreciate the chance to use a multitude of patterned paper in the background. Love the paper quilted look baby card and the purse card was adorable. I need to give some of that paper quilting a try!! I love all the sketches but would probably use the sketch by Betsy most often. Mainly because I can change up the patterned paper for any occasion, theme or type of card. It is also a great card for using up scraps of patterned paper. I also really liked the card by Teri – the curved lines are a nice change. The hop sounds like a lot of fun…thanks!! Soaring by to say hi is great. The squares look like the countryside when you are up in a hot air balloon! I love all the cards, I can’t wait to see this issue! How can I choose? Well, if you insist, maybe the “Thanks, Dad” card by Teri Anderson. Love the wood grain, the rounded corners and the earthy colours! I love all of the cards, but I just think Betsy’s hot air balloons are adorable! So excited to have a whole book of card sketches-they’re my absolute favorite idea books! Thanks for the giveaway. Wow. The blog hop was amazing! So many talented ladies! Pick a favorite? So hard! They were all great, but I loved Betsy’s card and sketch. Thanks for the chance to win! I love the first card- The balloon with buttons! It’s just so creative! I’m back to comment again! Just got back from the hop a little bit ago…. inspiration galore! That was fun -thanks! Lots of fun ideas here and on the blog hop! I love Besty’s card. Her color combo and her little clouds are awesome. So inspiring! Well now! I’m torn be Soaring and the Thanks card. I love the clouds and stamped balloons, but I’m inspired by the geometric designs and the Flair too. It’s inspiration overload I tell ya! Jessica’s card is the one that would help me in making my own card. But I purchase many of Betsy’s cause I can’t make them on my own. OMG the lil birdie one is my fave! I am using that idea for my best friend that lives about a thousand iles away! also loving the hot air balloons on the card, what an awesome card layout that is! oh wow! These are ALL wonderful, but the one makes me go “ooo!” is Betsy’s card w/ the hot-air balloon buttons. Fabulous!! the purse card sure is cute! I love them all, but Betsy’s really grabbed me. But my gd would love the purse card. I love all the cards but I especially like the hot air balloon card. I love these cards-and would love to get a copy of this mag!!! Betsy’s “Soaring by” card is precious and I like how the buttons pull out the colors in the background paper sky. I love the boutton balloons. What a great idea. Really must get my hands on this publication! Great card! Really cute cards! Thanks for the inspiration. wow, these cards are amazing!! hard to choose a fave! but love all of them! Absolutely fantastico cards!!! Thansk for sharing. Thanks for the LOADS of inspiration you provided for us today! Love all these sketches and card ideas from everyone. You want me to pick a favorite on al these blogs, WOW that is impossible. Lot’s of great inspiration. A few of my favorite sketches are Betsy’s, Teri’s and Kim H’s purse sketch. But, all of these ladies have outdone themselves with the beautiful cards they have made. Thanks for the fun and inspiring blog hop. I love Betsy’s soaring card here! There are some very talented people! Thanks for the great ideas! I’m going to have to check this issue out, never seen one before!! Very fun blog hop and tons of great ideas! I even bookmarked a couple of blogs that I want to be sure to check back often! Thanks for all the inspiration, ladies! 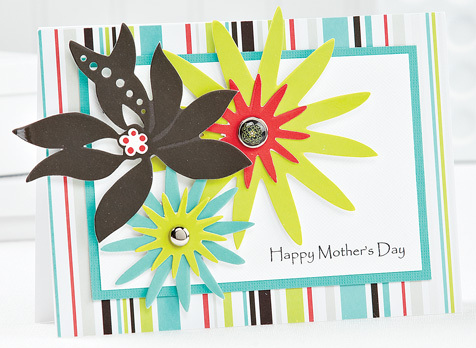 I love the dramatic colors of Kim Kesti’s card–so springy! Love all the sketches and cards. It’s hard to pick a favourite. I think it’s that Thanks Dad card because I need inspiration for masculine cards and this one is beautiful! They are all gorgeous, but I really love Maren’s card. It is so simple and elegant. I like the brilliant flowers card. I am a lover of bright colors! Thanks for a chance to win! Such eye candy and a fun bloghop, too. I think I am most drawn to Marin’s..I like the natural elements . Blog hopping is everywhere atm but I am certain this’ll be the most inspiring! I love Betsy’s card – so sweet and classic, but I also love how Jessica used the Flair birdie on her card. Thanks for a chance To win your awesome mag! This is perhaps one of the greatest blog hops – I have loved all of fabulous cards that I’ve seen today! WOW, this has been fantastic and it is so hard to choose which sketch insprired me the most. I love them all, but I have been wanting to do a purse card forever and so I appreciate Kim H’s card and the way her teams take on her sketch. Oooh, that birdy brad sitting ontop of the branch is the best!!! I really love Kim’s team of purses as well, so many inspiring cards. Sounds like fun! I love the Soaring by to Say Hi Card by Betsy Veldman! Can’t wait to see more fun cards and projects from the other ladies! I love all of the cards, but the little birdy on the branch just sold that card to me!!! Can’t wait to get this!!! Great job!! On to the other blogs to continue the inspiration! Soaring by…..love it! Love the colors, the squares for background, the button hot air balloons….everything!!! It is pretty and adorable all at the same time. Absolutely FABULOUS cards! Not just here but at all the blogs. Amazingly talented ladies! I love the one with buttons as balloons. Super cute! I love the Soaring By to Say Hi because I love buttons! Love all the cards!! So hard to choose just one Fav. !!! Thanks for the chance to win this awesome sketch magazine…. I like the design and colors on Betsy’s card….very cute cards ladies! Those cards are absolutely amazing! Wow! The Soaring by with the buttons is just adorable! I love the squares Betsy used on her card. All of the cards are awesome and inspiring! But my favorite was Betsy’s with the quilt pattern in the card layout – it’s a great way to use papers and scraps – which I always have a TON of! Thanks! I looked at ACMoore for this mag today- no dice. They don’t carry Papercrafts at all. 😦 Michaels sometime later this week. I love the button balloons- I can’t wait to dive in and see more! Love Betsy’s card with the colours and patterns. Love Maren’s with the shape and the tree; love Kim H’s w/ the patterns and the adorable purse shape! Well-done to all Go-To Gals!!! They really are all awesome! These are gorgeous cards, but I just adore Betsy’s card…the colors are gorgeous! wow, would love to win a copy of that great sketch issue! what inspiration! There are really beautiful projects! Loved the blog hop and hopefully will be able to find the book. 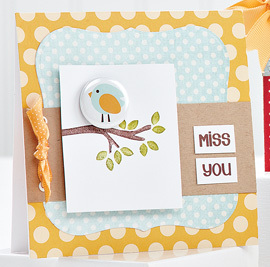 Love, love the birdie “Miss you” card– so sweet. I love the Father’s Day card. I think it is the faux bois background that really does it for me. Oh my gosh that was a lot of inspiration! I am definitely going back to check out those blogs! I loved every single sketch shown but my favorite was the purse sketch and card by Kim Hughes! Thanks so much for the fabulous hop!! Wow! What a lot of inspiration to take in! Thanks for the hop! fab cards. i love kim’s briliant flowers…er…bcoz i am a flower addict and the bright cheery colours so attract me. been to all the blogs..super amazing talented crafters! What wonderful ideas from very talented ladies…. For some reason I can’t see the 1st 2 cards on this blog, but of those I can see, I like Marin’s card best I love blog hops, but so much for getting to bed early tonight! Oh, I adore the balloon card.! Up, up and away, in my beautiful balloon! Who wouldn’t want to soar in that pretty colorful sky (with polka dots too), and those buttons Betsy used are just too darn cute. I just love Betsy’s card – love anything kind of ‘patchwork’ so that’s why it gets my vote – super cute! I really like all the cards, but my favorite is the mother’s day card with the flowers on it. Everybody did a super job and I hope I can get around to all the blogs before Thursday. Thanks for the opportunity to win. Loving this blog hop! So much inspiration! My fave of the go-to gals’ cards is Kim Kesti’s. I love how she’s taken quite a simple sketch and layered it up to perfection. The bright colors work SO well together and those flowers are just so yummy! Can’t wait to try this sketch myself! Loved all the Go To Gals and Friends cards! Thanks for sharing everyone! I so want to win this issue. I love the card by Besty..and the other..oh my God, such inspiration…breath-taking and mindblowing..
Well, after playing with just one of the sketches, I know I want MORE! 🙂 Great job on the special issue! Amazing work by all but I think the card that gave me the most inspiration is Soaring by to say Hi card. I love those photo corners and I love that she used all of those little scraps of paper for the background. So sweet. I am really excited about this latest book. Can’t wait to get a copy of my own. Hope I win one!! Oh I love Kim’s girly girl purse!! It’s all about inspiration – and WOW – there’s a ton of it on this blog post. Loving all the art and creativity! These things are never easy choices! Every project shows inspiration and creativeness. I especially like Betsy’s card. I can see myself trying that one. I want to try the Birdhouse! It was done with the purse inspiration. Interesting to step out of the box, do something different but still using the inspiration sketch. What a fun and inspiring idea – and we get a chance to win. I absolutely LOVE Betsy’s hot air balloons – the colours, patchwork, button balloons, are all wonderful! I’m late to the party but having a great time hopping around! I love the vibrant colours & shapes in Kim Kesti’s card. Great cards. Theses sketches are sure going to inspire all of us. All of these cards are SUPER cute, but my fav is the “Soaring by to say Hi” card! I think I like the grid the best. I’m really drawn to grids. So much inspiration! But my fav has to be the Dad card…it’s always a challenge for me to make masculine cards. Thanks so much for the chance to win! i like the soaring by card. it reminds me of a quilt and i like that the greeting can be for anyone. i perfect card for any occasion. I really like Betsy Veldman’s card with the 3 x3 grid. It’s fun to use patterned paper scraps and the photo corners add a fun new touch! So glad you have published a sketches issue! Sketches have saved me from scrappers block countless times! I cant pick just one …. and since my local store doesnt carry the publication, winning a copy would be GREAT! So cool. Love the whole idea of using the sketch for a non-card item. I enjoy altering things…last non card I made is a scrapbook page. This is going to be very difficult, but I do like the first card with the button balloons soaring. I have a soft spot for buttons and if I can find a new way to incorporate them into more creations it’s gotta be a winner for me. Thanks for sharing such great ideas—I can’t wait to dive into the new sketches magazine!!!!!! I’m still ‘hopping’ – really fun blog hop! Great inspiration – such beautiful craftiness! I know thta you said pick one BUT I like them all!! What a delightful set! Your touches are so delicate – love them! All the blogs were new to me! I don’t take time to do this blog hopping often enough. I loved the orange/blue color combo on Maren’s card, the gathered fabric on Heidi VL’s card and the simple / clean take on Betsy V’s card. Really there was enough deliciousness there to keep me coming back for weeks of peeps. Thanks for the chance to win! Love these sketches! Having my morning coffee at work and going to go through them all !!! My favorite was Karen Hughes….cause I am a MAJOR purse person…so I LOVED her card. Just discovered this wonderful web site and blog! I can tell already I will be spending all of my extra and maybe not so extra time here! The creativity is wonderful and truly helps fuel the motivation! Would love to write more but my fingers are itchin to go and make some of the fantastic new card layouts I have seen here! Keep up the good work! Will be back and soon! What great card ideas! Love all the cards and the inspiration you can get for your own and definetly love all the goodies that we can win also. Thanks for the opportunity to win the awesome magazine and other things. I love all the cards. 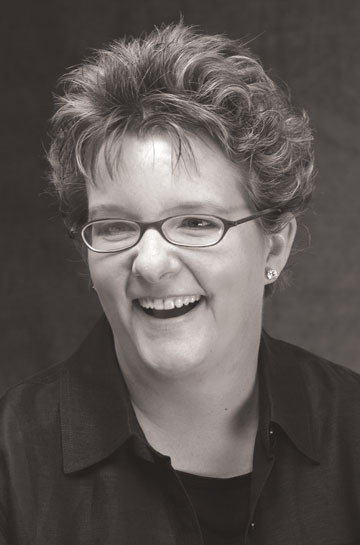 Kim Kesti’s Mother’s Day card inspires me to do something special to honor Mom this year. She’s 83 and lives with us. This has been a tough year. She recently lost her sister. Mom had 7 sisters who were her best friends. She’s lost them all now. I’ve been doing papercrafts with Mom (who has some dementia and memory issues) to keep her engaged. I think the bright colors have inspired her to get back to a favorite, long time hobby – sewing. She’s making a pinwheel quilt. Each square has a flower in the middle of the pinwheel. I think I’ll make special cards for Mom, my daughter and my 3 sisters and perhaps a few cousins who are surely missing their mother’s – inspired by Kim – and Mom’s quilts. A card with a quilt block and perhaps a flower that actually spins like a pinwheel! The cards will have extra special meaning this year. Thanks Kim! I just found this site from Jennifer’s blog! Looking for some mojo, great creations! I first noticed Betsy Veldman in the photo on the PaperCrafts blog because she has such a cute haircut. I was very inspired by looking at her blog. Thanks for sharing!